Myradioplayer is a free application for music lovers. It allows users to search for different kinds of songs, artists, shows, and stations. The program claims that it uses a powerful search tool; thus, you will be able to listen to your favorite songs very quickly. Yes, we agree that Myradioplayer looks like a very useful program; however, you should still know that it is not the most reliable software and it even belongs to the category of adware programs. If you have decided not to keep Myradioplayer on your system anymore, you can delete it anytime. Luckily, it is not very difficult to do that because it can be erased via Control Panel. 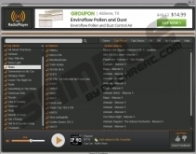 If we believe the information provided on its official website (myradioplayer.net), it is very likely that various coupons, offers, in-text, and video advertisements will start appearing on your screen after the installation of Myradioplayer. Unfortunately, advertisements are not only annoying, but they might also expose you to malware, which is why you should not click on them in any way. It is also very likely that all these ads will disrupt your browsing session; therefore, it is better to stop them from appearing as soon as possible. The only reliable way to do that is to eliminate the program generating them from the system. Another reason why Myradioplayer is considered an unreliable application is the fact that it usually enters the system without user’s permission. It has been found out that the program travels bundled with other suspicious software and users might agree with the installation of Myradioplayer themselves because they usually do not pay attention to the setup wizard and just keep clicking the Next button. You should be more attentive if you want to prevent unreliable programs from entering the system in the future. By saying “attentive”, we mean that you should always carefully read the information in the setup wizard and download software from trustworthy sources. In addition, you should always find out whether the application is reliable before the installation. 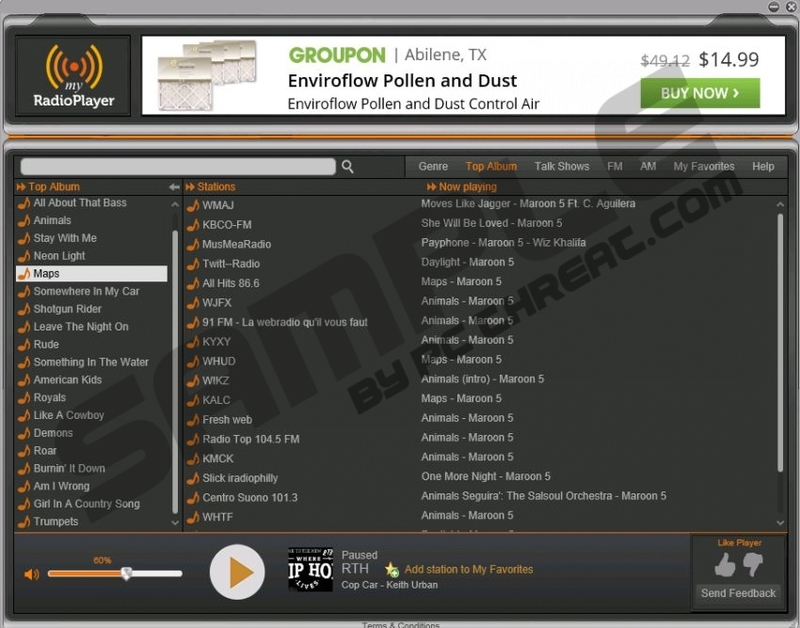 Even though Myradioplayer looks like a very useful application for those who want to find different kinds of songs and listen to them without downloading them onto the computer, it is still better to delete it from the system because it is not a reliable application. Go to Control Panel and you will be able to delete Myradioplayer from there. However, if you feel that it is too difficult for you, you should acquire an antimalware tool and just scan the system. Right-click anywhere on the background and click All apps. Quick & tested solution for Myradioplayer removal.